First, my apologies for not having this post ready for yesterday. It’s been cloudy for the last few days and I was holding out for some decent sunshine, which thankfully arrived today…although my pictures still seemed to need far more tweaking than usual. Perhaps I’m feeling the pressure?! Which leads me to my second point: Holy participants, Batman! It seems that word has spread, and my expectations of a small little group has been eclipsed. If the comments on the first post are any indication, there will be about 65 of us! I’m completely surprised, and honoured, by the level of interest, and I really hope that I can live up to it. :) I’m definitely looking forward to seeing everyone’s interpretations of the design, and of course everyone’s fabric choices! Which reminds me, if you haven’t found it already then please head over to the Flickr group that I set up especially for this project, and start adding pictures of your yummy stacks of fabric. The first step is to construct the points, which are actually four (4) flying geese units. There are many ways to construct geese units, but for a simple star this is my favourite method for two reasons: it doesn’t result in left-over triangles, and I find that it produces the most accurate geese units. Start by marking the back of the squares which will become the star points. You can either mark a single line down the centre, if you have a really accurate 1/4″ foot for your machine, or you can mark 1/4″ on each side of centre if you don’t. I fall into the latter camp. Then pin two (2) of the squares to the large square of background fabric, right sides together, making sure to line up the marks you made. 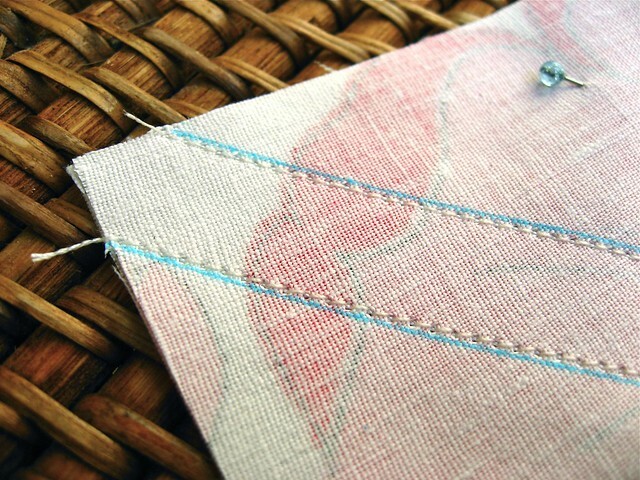 Be sure that when you sew that you use SCANT 1/4″ seams. It will make a big difference to the accuracy of your block. I find that if I stitch right beside my marks that the final block is the most accurate. 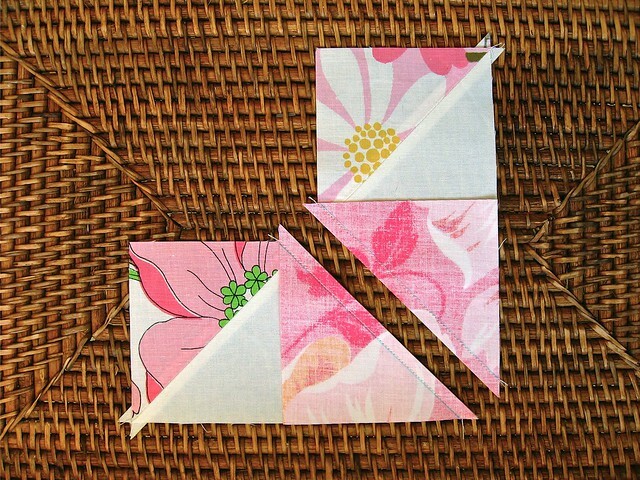 Next, you want to cut down the centre between your two seam lines to produce two (2) separate pieces. Then press both parts. Personally, I prefer to press seams open, but whatever you prefer will be fine. I know that everyone has an opinion on this particular point! 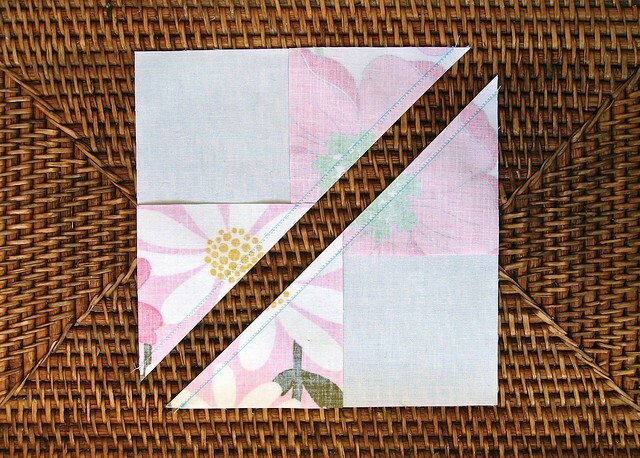 Now pin the remaining two small squares of foreground fabric to the larger units that you’ve just pressed, and repeat the sewing, again using scant 1/4″ seams. 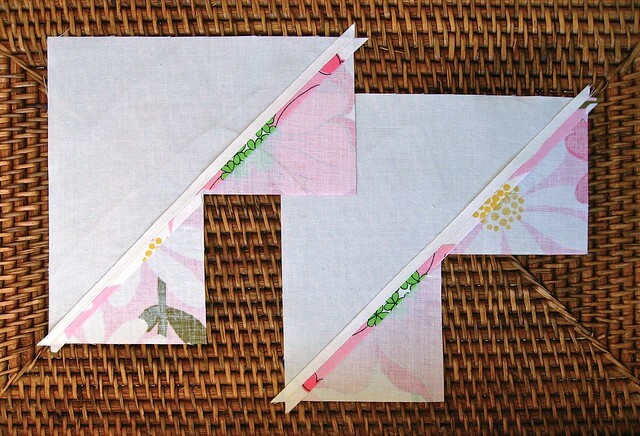 Once you’ve finished sewing, cutting down the centre between the seams and pressing, you should be left with four (4) geese units, without any waste! Trim up the geese units, and then attach all the parts in three rows. You will have a top and a bottom row made of one (1) geese unit and two (2) small squares of background fabric, and a middle row of two (2) geese units and one (1) large square of foreground fabric. I hope that this was clear, but if something doesn’t make sense then let me know. I’ll post the first “variation” block next week, for those who want to throw in a few different stars. 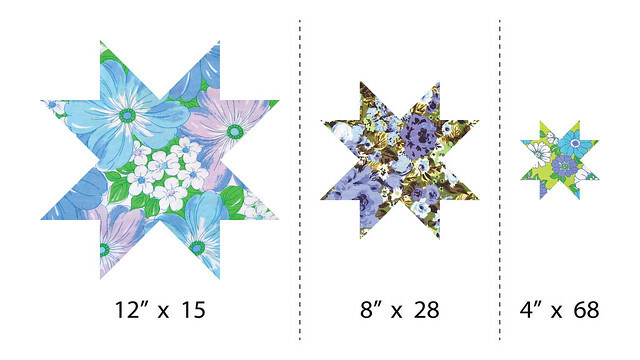 Although of course you could complete the quilt top using just these simple stars. So get to work! I’m really looking forward to seeing the first stars as they are posted in the group! And just a reminder that you can find links to all the posts in the series by clicking on the “Oh My Stars” button, either below or in my sidebar, or on any blog that has added it to their sidebar. Well, I better get some fabrics chosen. Now. I’ve been thinking and *thinking* about the kind of fabric to be used in the stars. And why Sheila’s stars look so fantastic. Then it hit me … her stars are from all-over prints . the kind that HIDE the seamlines. The result is a wonderful, apparently seamless profusion of color. For me, that rules out plaids, stripes, directional prints (unless I want to be all OCD about pattern matching) and prints where cutting off a motif would be distracting. That’s a really *tall* order to satisfy! Those vintage sheets were truly a perfect fabric; heh .. I wish I had some. :-) BUT …. now that I have something concrete to look for, I can search my stash more critically. I sure hope I can find the required amount of star fabric that is suitable. Okay….quick question….How many stars of each size do we need of this first variation? I plan on doing the other variations of stars as well….but didn’t know if we needed one of each size to start off with or more? Thanks….can’t wait to get started and your directions were great!!!!!!!! Kristi, I have the same question, did you get an answer? The answer to your question is in the second paragraph of the post on “the plan” for the project, here: https://thoughtandfound.wordpress.com/2011/12/02/oms3/ But you are welcome to make as many, or as few, of each variation as you’d like! It’s up to you! That’s a lot of of cutting! That is going to take me a while! Right… I have a question… r we doing an amount of stars per week??? Or not?? Or big ones first than medium than small or is it just random?? Wow – this looks so cool and I really want to try it but I just started Bonnie Hunter’s mystery. I’m going to print all the steps and try to get to this next year. It’s beautiful and I love the tips on making the stars. 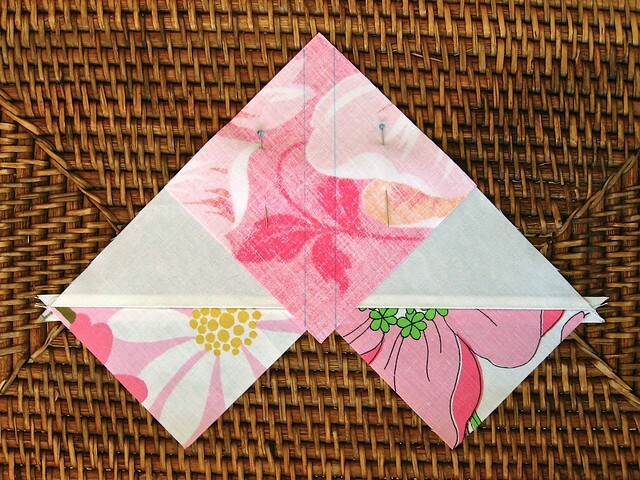 Love this flying geese method. I can’t wait to try these, but I don’t have time yet. I still don’t have my background fabric, and am up to my eyeballs with stuff to finish before Christmas. Will catch up after! I did pull together a bunch of good Christmas fabrics from my stash, so that is a start. I’ll post them soon. I think I’m going to like your method for flying geese – your star came out so beautifully! I’m a little behind on the fabric choosing, but hope to remedy that this weekend! This is the best way I have ever seen for making those flying geese blocks! So easy with no waste. Unfortunately, I am swamped with Christmas projects so I will have to wait until January to get started on my stars. I can’t wait! i have used this method to make flying geese for several years…took a class at a nearby quilt shop who showed us how to do this..to me it makes the most accurate stars..i am going to use white muslin for my background and reproduction prints for the stars..will be a light and bright quilt..thanks for the pattern..i love the layout.. I have always wanted to try this method to make flying geese. A friend suggested using white sheets. I will start my blocks over the holiday break. It will be a great way to fill the days with old man winter blowing outside. I have just found your Quilt Along and am completely inspired! I have placed your Botton already on my Blog, now I will see through my scraps and then I will start. Thanks already for this great Tutorial! I’m enjoying this Quilt Along. Anxiously awaiting the next installment. There are so many pretty stars on flickr. A lot of talented ladies. Thanks for hosting this. Tanya, so brought me here! And now I just HAVE to make this project! I am working out what fabrics to use and praying I can keep up! 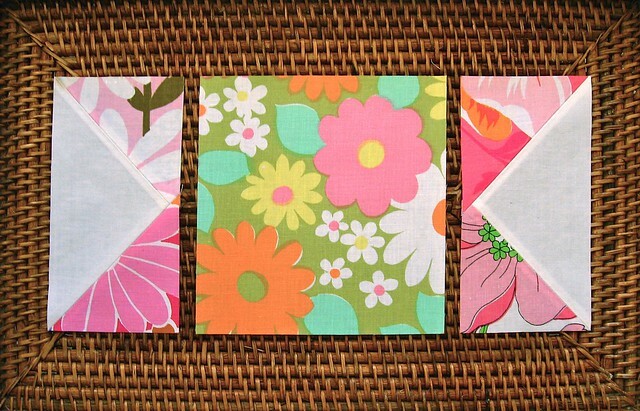 I love this idea and can’t wait to see how everything turns out! 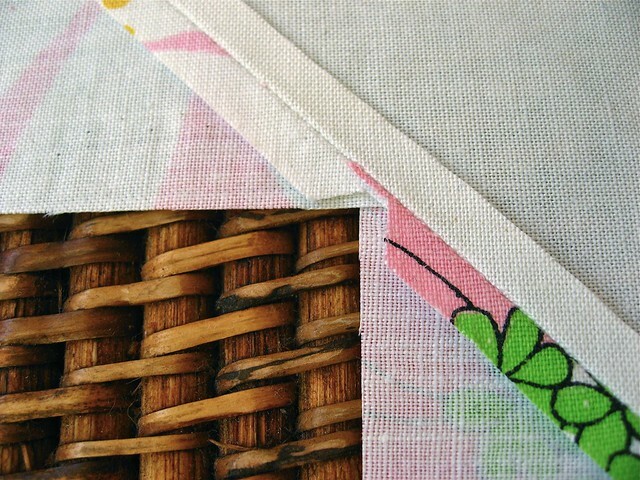 I have never used vintage sheets, but I am tempted after seeing the shop, beautiful colours! I have never made a saw tooth star block before and now I have just completed 6 large. However, they are not square. My process was a bit different as I took 31/2 x 61/2 blocks and sewed on the 31/4 inch squares for the points.. My block has pulled in the center. I starched carefully and I thought I was very careful on the scant… but the final block almost appear as if I did not measure. Not only are they not precisely square the middle section of the points shrunk up a little. Is there a way to correct this before I sew it? Or should I sew all the blocks together and then trim? Should I stretch some parts of the block to fit the adjoining block? hi! 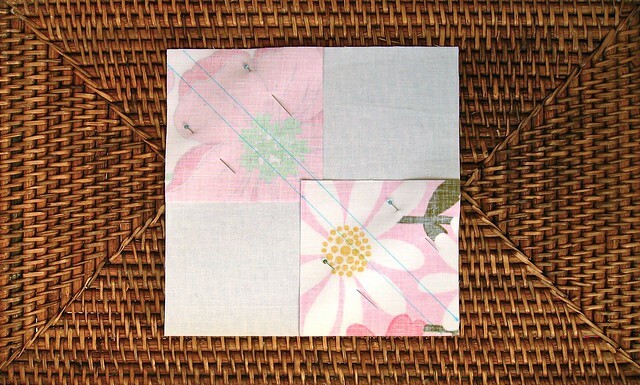 i just used this tutorial to make a tiny block for a pincushion. i love how it came out. thanks SO much for writing up this wonderful little how-to! i will post my block later this week. I just found this! Oh my word, I’m completely amazed at your method for geese!! One of those, I wish I would have thought of that moments! Hi there! I’m totally new in quilting. I LOVE the Stars! I am going to make a Xmas Quilt for my couch! Since I am not part of the flickr community I will just post you a link of my blog as soon as I get to write about it! Its only gonna be my fifth quilt and the first full size one. Only did Babyquilts up to now. It’s gonna be a challenge! Thanks for the beautifull pattern! I shared you one my blog. I done the star for the saw tooth star quilt using your method and it worked great! Thanks! 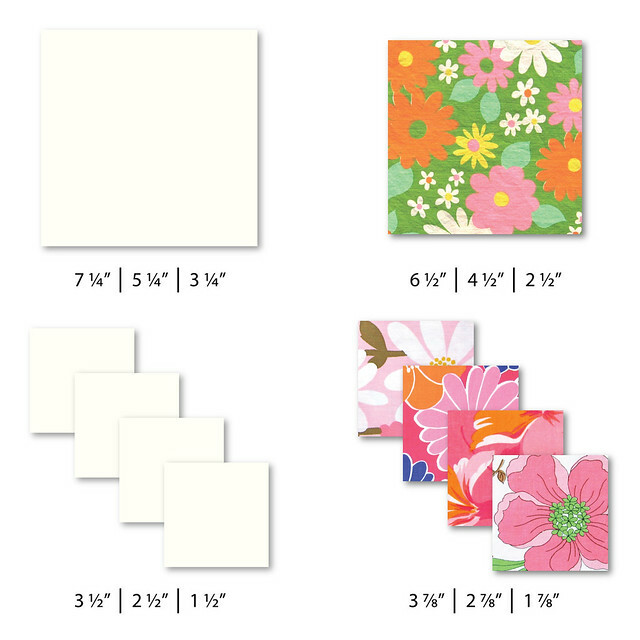 I am wanting to make the 4 inch star but I am having trouble understanding the size of the large background square that you put the 2 smaller squares on. Could you tell me the exact size I need for for each square for the sawtooth star. And also does it come to be 4 and 1/2 and then finish at 4 inches? Thank you so much.. Your instructions are very clear in every way. I really want to do about 300 of these little stars. I just happened upon this today and I am so happy I did. 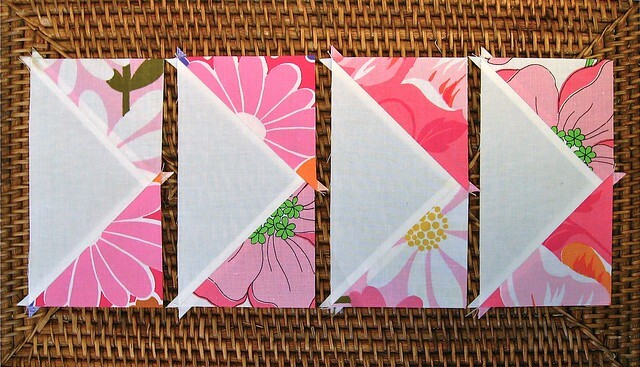 This tutorial is FANTASTIC and I am so excited to make this quilt. 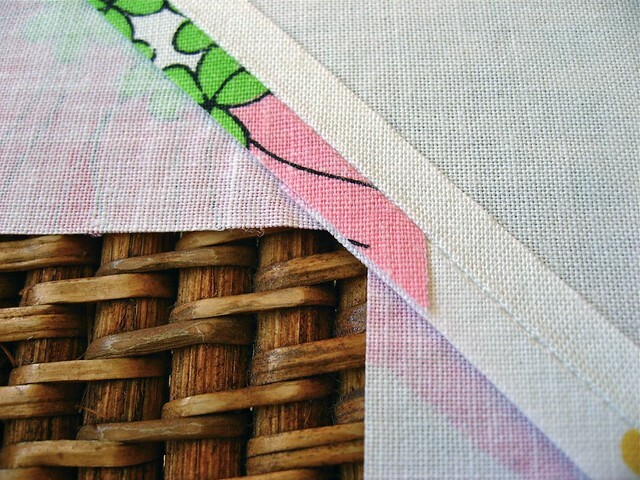 I have the perfect fabric that has been waiting for such a great project. Thank you Sheila. I have been looking for a tutorial for sawtooth star (12″) with flying geese method you use and was directed to you by google. Your tutorial is so clear and easy to follow. Speaking of follow, I am now following you on bloglovin. thanks again. I came across you QAL and I’ve decided to construct this beautiful quilt from vintage sheet prints for a dear friend of mine as a wedding gift. I’m over the moon excited but a little worried about all the piecing. We’ll see how this goes…. I have spent hours today looking for a 10 inch sawtooth star block as I could not figure out the math on my own. I finally decided that a 10 inch block was not possible so searched the web for a nine inch block. Happily I came across this post and it is wonderful!!! I am a very visual person (give me pictures lol) and your directions were very easy and clear. In no time I had a sample block sewn and it came out great! I couldn’t be happier. Now I can go to sleep tonight and not fret about it. Thank you for wonderful directions on making this block! I downloaded this after getting it from “Crafty” but there are no real instructions. Can you share the block information? Perhaps I am not seeing a link that I need to construct this quilt. Hi Brenda! You can find everything you need in this post: Oh My Stars! 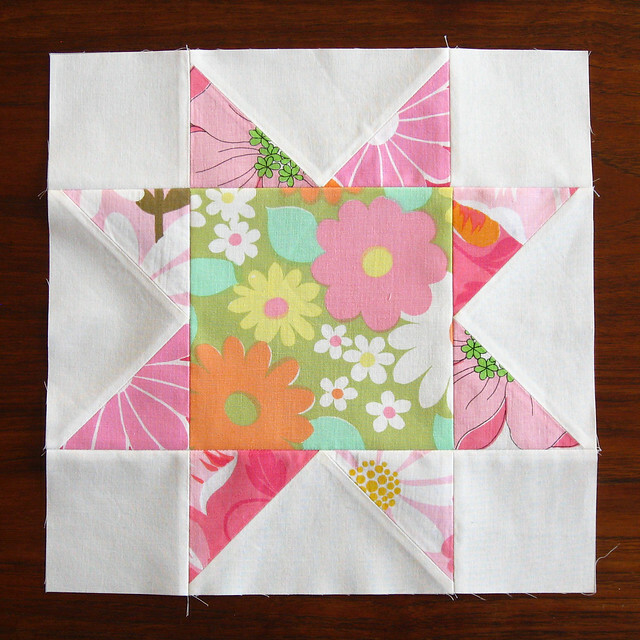 (A Quilt-Along) You can always get back there by clicking on the “Oh My Stars!” button in the sidebar of any page on my blog. I hope that helps! 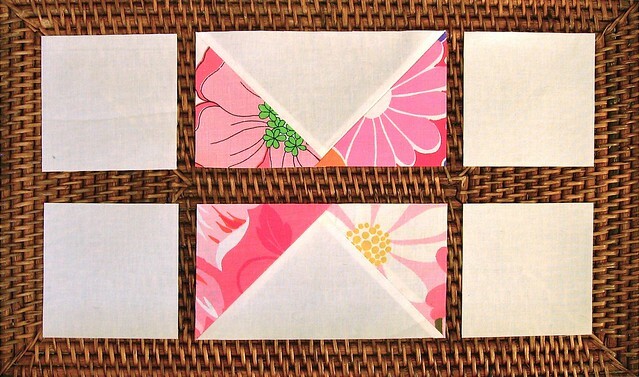 10 FREE Charm Pack Quilt Patterns - Easy Quilt Patterns!